We are born. We die. In-between, ah, in-between are all the possibilities in the universe. What brings it all forth? What have we in common with every living thing? What have we in common with the vine tendril, the bee, the unfolding flower, the cheetah, the salmon, the amoeba? O each vanishing endangered one upon this earth, the last ones, the least ones, the ones we rarely see, the ones we will never see again. O the sun, the wind, the rain, the mountains, the deserts, the trees, the seas, and all who live around us, despite us – what a spell of life you cast! When I least expect it, Beauty fells me with a roundhouse right, pummels me with soft fists, dazzles me with her quick feet. Sometimes it’s a glancing blow to the chin; sometimes she doubles me up by a quick swing to the solar plexus. Right, left, right, left – she’s danced me round and round the ring until I’ve lost my breath. She’s left me in my corner, dazed and gasping. She’s held me in a clinch, face to face, with nothing more to say. To some Beauty is just another heavyweight contender, but in bouts with me she’s always the champ, always the champ. 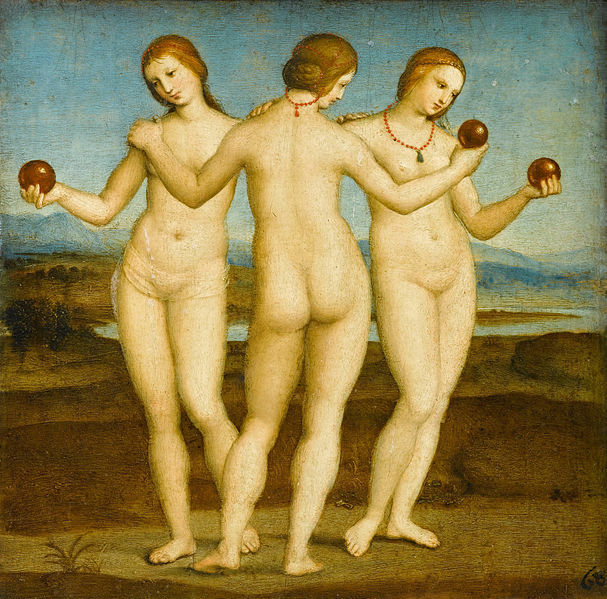 In Greek mythology, the Charites were goddesses of charm, beauty, nature and creativity. Aglaea, “Splendor” was the youngest, Euphrosyne, “Mirth,” was the middle sister and Thalia, “Good Cheer,” the eldest. To the Romans they were known as the Gratiae, the “Graces.” Homer wrote that they were in the retinue of Aphrodite, the goddess of love, pleasure and procreation. Although early depictions of the Graces occurred in marble sculptures dating from the 6th century BC and a first century fresco at Pompeii, they are more likely known by the Renaissance paintings of Botticelli, Raphael and Rubens. In Africa, grace – the pleasure of beauty in nature – is a constant state of existence. Splendor, the youngest of the Gratiae, can be found in moments both large and small – in the turn of a head or in a long, glorious sunset. 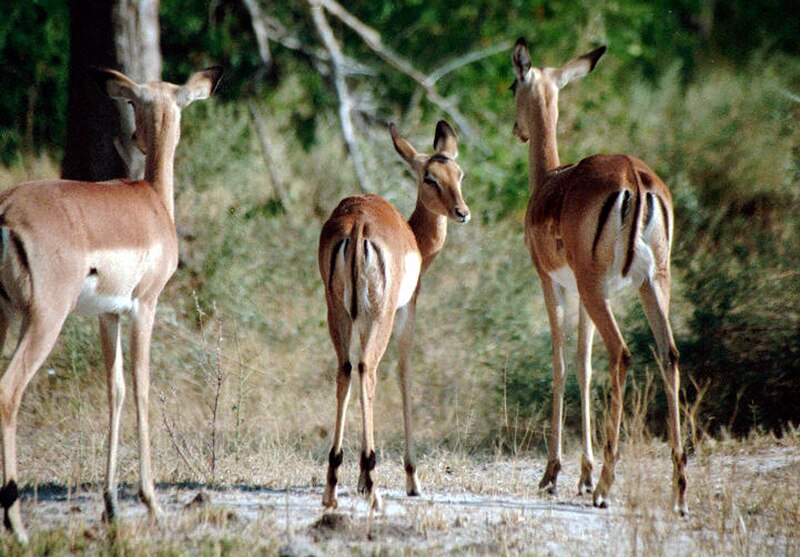 These three impala in identical coats pause before us in a moment of easy grace. The youngest, coltish, knock-kneed, takes our breath away when she throws us a glance over her shoulder. The charm, the Charities, of fleeting beauty.